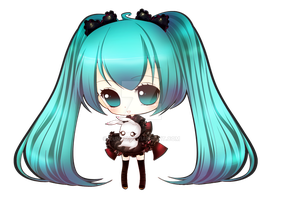 Chibi Miku for the Fanbook《Evolution》too. 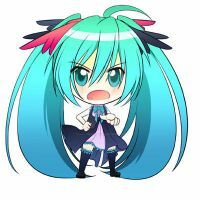 it may be used on bookmark or some other things. her hair looks SO delicious! Oh my goodness that is really adorable! line quality for the wins! AWWWW THIS IS SO EFF-IN CUTE!!!!!!!! 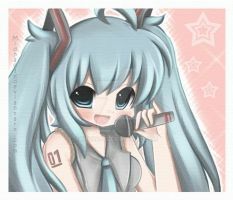 For those who love Miku!